My plan is to keep this up to date as long as they're missing this key functionality. This script delivers even better functionality than Gmail used to have. In the past you would have to hover over a contact's name, wait for the pop-up to show, then click the "Emails" link to get a list of all the emails you had sent or received for that contact. This plugin adds a search icon next to each contact's name. 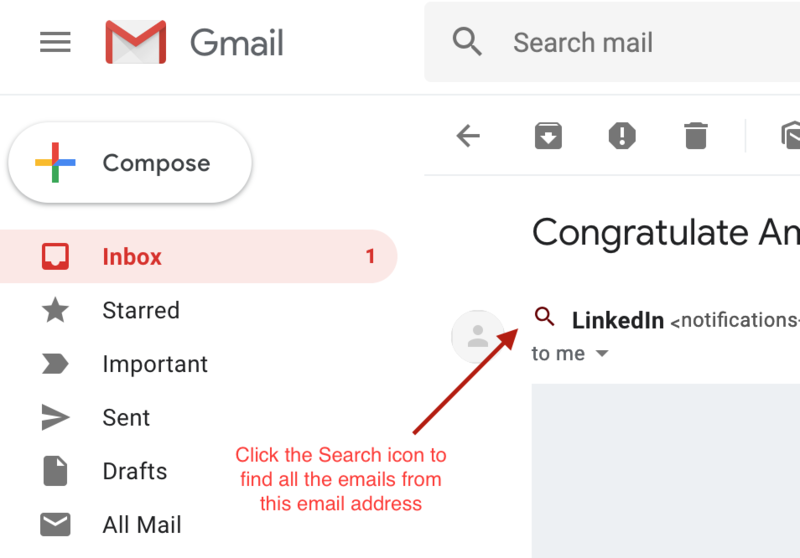 Click the icon to do an instant search for all emails to or from that contact. As of version 1.3 it also adds search icon next to all clickable email addresses, as well as in the hovercards that show up when you hover over a contact's name. Any bug-fixes or better ways to do this are welcome! If you like it and it's saved you some time, please fee free to send a little donation to my PayPal address: gserafini@gmail.com.